The Liberal Government's 25-year plan to develop Quebec's North has come under political fire in the past week. But what do the people in the Northern parts of the province think about the expansive and long-term project? 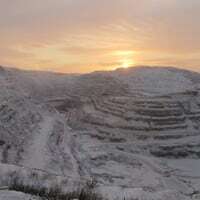 Our travelling journalist Marika Wheeler is in Fermont, an historic mining community near the Labrador border, and brings us some of the voices from the people there.